If you have nearly given up hope that church can be a place where hearts are united, prayers are answered, and people are readily open to God’s will, Macedonia’s Sunday School curriculum changes everything. In our Sunday School , you won’t just review God’s Biblical ideals describing what a church should be, you will see those ideals in action. Christians will make the transition from knowing – and doing – the will of God as individuals to knowing – and doing – the will of God with a like-minded body of believers. Attending our Sunday School classes helps the congregants of Macedonia experience the fullness of life, together, as a God-centered church. We encourage everyone to join us on Sunday mornings at 9:30 am to gain a Biblical understanding of the place of the local church in God’s great salvation. 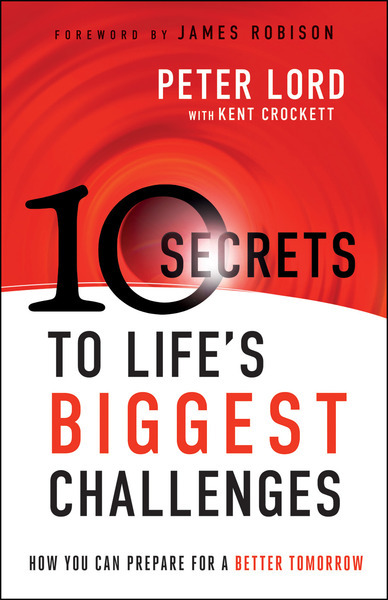 We are currently studying from 10 Secrets to Life’s Biggest Challenges by Peter Lord. You will face many different challenges throughout your life. Trying to figure out how to solve every problem can be an overwhelming task, but suppose you could separate and group them under ten topics. Through the study of this book we will identify, address and help you learn how to handle the inevitable challenges of life in a way that pleases God and demonstrates his character and ways in this world. The study of this book and the teaching of Pastor Troxler will give you guidelines to help you make the right decisions. During Sunday School, readers will identify ten situations everyone will face–related to choices, relationships, work, authorities, conflict, money, pressures from within, pressures from without, sorrow, and death–and discover practical ways to prepare for them. We will also learn how we can protect our loved ones from life’s storms and make life-giving choices in every situation. This book is available for purchase in the Church office. ©2019 Macedonia Missionary Baptist Church All Rights Reserved.